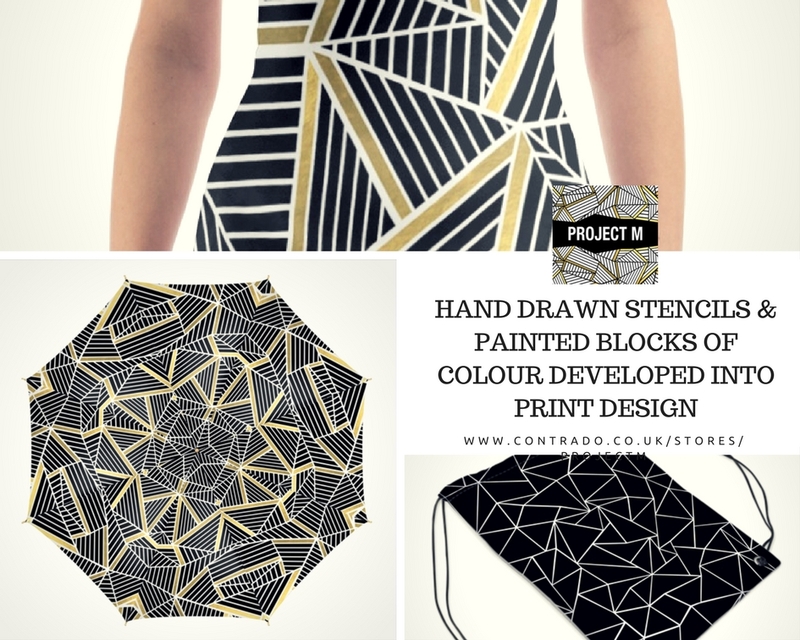 The Contrado marketplace is steadily filling up with more and more talented artists online, creating incredible designs to fill your home and wardrobe with unique style. When it comes to spotting cutting edge artistic talent, we like to think that we know a thing or two. The Contrado Creatives really do bring something special to the table. 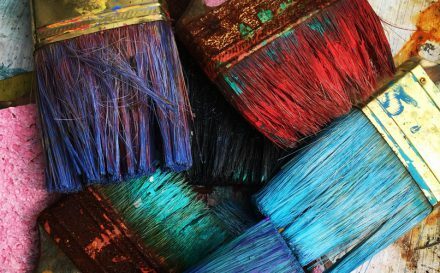 Inspiring designs, diverse themes and eclectic styles make our artists online something to watch out for. We believe it is so important to not only give independent artists a platform to showcase their art, but to also help promote them to as wide an audience as possible. 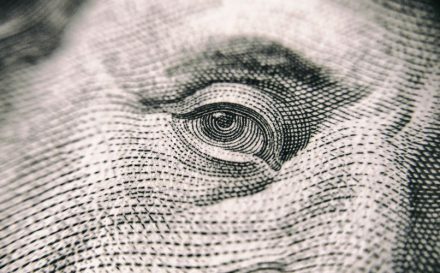 When artists are able to actually earn a living from their creations, it makes our job all the sweeter. By putting your designs on an online marketplace, you are making them available to people who might not have heard of your work before. Our unique selection of handmade products make the perfect canvas for these stunning works of art. 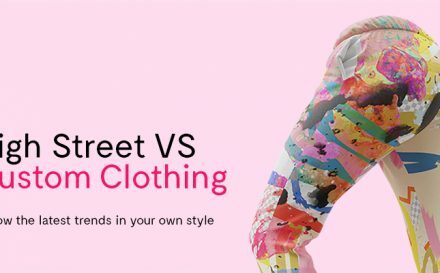 Artists online are able to print their work on everything from custom made clothing and homeware, to over 100 different fabrics. 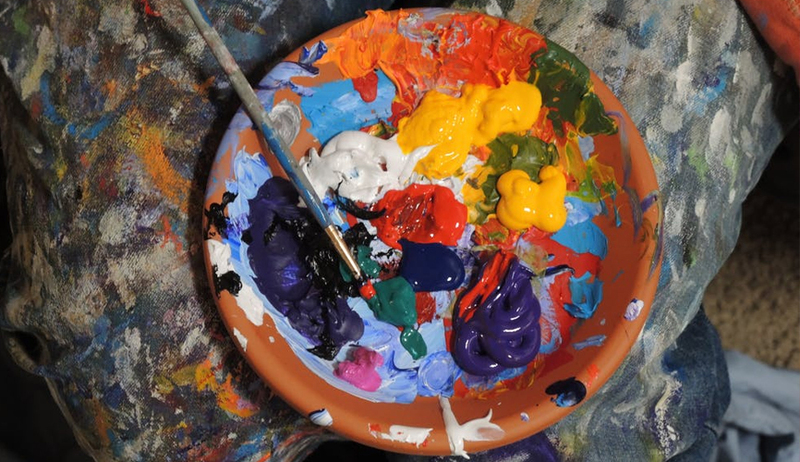 Art goes from being something that simply hangs on a wall, to something that can be incorporated into every day life. Here, we continue our series of meeting the talented artists online that are the Contrado Creatives. These 5 creators each have their own unique style, and bring something incredible to our marketplace. Eclectic artist Gloria Sanchez creates intriguing, exciting and entertaining art. You can really see the Surrealist influences in Gloria’s work, which focuses on digital collages over traditional techniques. Personality, colour and humour are all present in her unique collection. With a style that can only be described as a mixture of weird, unexpected and surreal, with a strong vintage vibe, Gloria’s designs will keep your eye exploring and constantly discovering new twists and details. Finding inspiration from the universe; metaphysics, spirituality, science fiction and even mythology, the colours and collage style really do create something special…and just a little bit absurd! 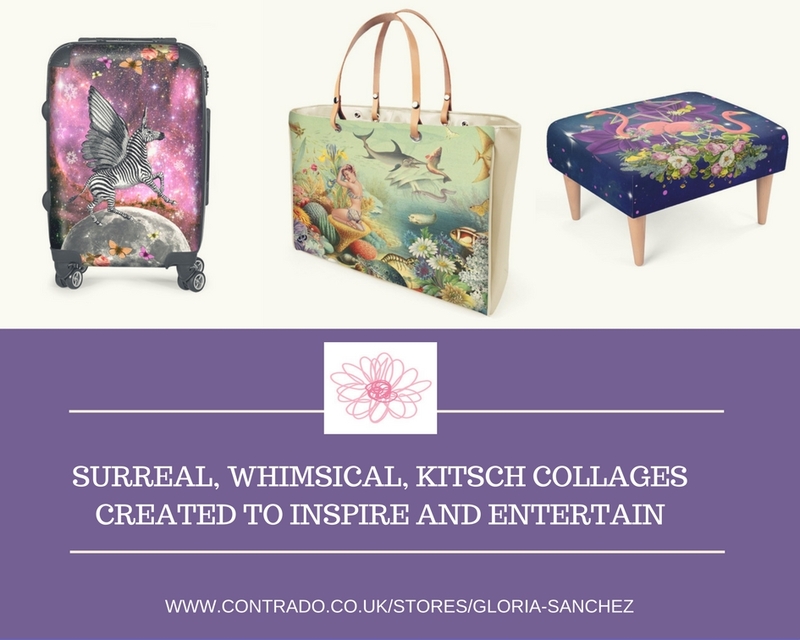 Gloria’s Contrado collection features everything from footstools and chairs, to luggage and fashion accessories. They are exciting pieces, which can transform the way your room or wardrobe looks. If you are looking to add a touch of whimsy and fun to your home, then Gloria Sanchez’s collection is for you. Emeline Tate-Robertson is the artist behind Project M. Originally started in 2010, this British artist and designer moved to California to pursue her artistic talent. The designs of Project M are striking, stylish and modern and they look simply stunning on the Contrado range. With a background in pattern cutting and technical design, Emeline experimented with acrylic on canvas before designing prints for different products. Making stencils by hand or paints in blocks of colour, her drawings and paintings are developed into print design. Her clean and modern style is digitally manipulated into unique designs, changing them from paintings to graphic prints. With a timeless, classic and minimal aesthetic, these designs will appeal to a wide range of tastes, ages and styles. 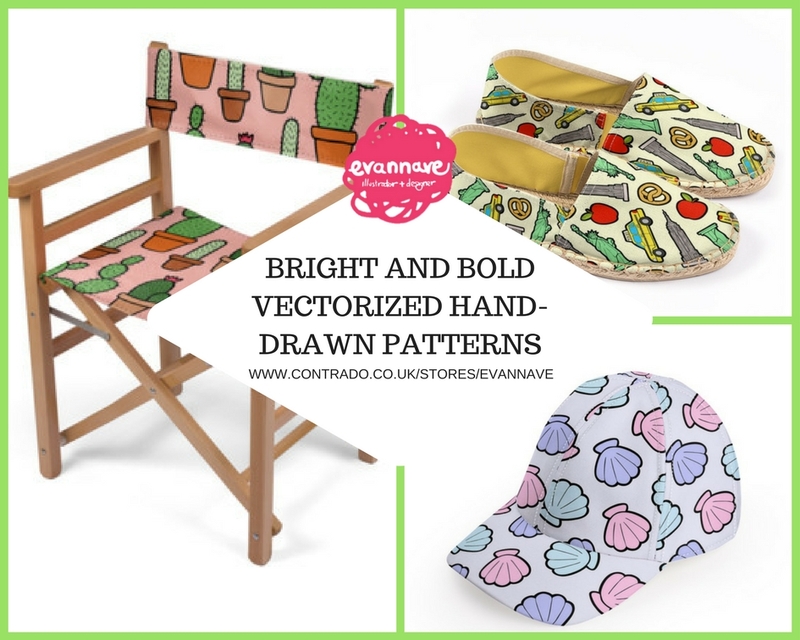 If colour, fun and adorable hand-drawn patterns are your thing, then Evannave’s happy and colourful collection is for you. Our artists online have such different styles, and Evannave, an illustrator and designer from Edinburgh, certainly brings the vibrant and cute aesthetic that we can all use to perk us up. Evannave creates bright and bold vectorized hand-drawn patterns. Using a mix of pen, ink and Adobe Creative Suite, she is able to make cartoons ever so slightly grown-up and incredibly wearable. Eye-catching colour palettes and whimsical patterns featuring themes such as animals, food and travel. After studying patterns and illustrations at college and art school, Evannave was able to carve out a niche which was undeniably unique. Evannave’s Contrado collection is filled with pieces that will add fun, colour and humour to your interior and your outfits. Prepare to feel very happy when you browse this artist’s online collection. Rosie Brown is a Cuban artist living in Miami, Florida. The tropical and exotic surroundings play a huge part in Rosie’s artistic inspiration. Her beautiful and ethereal designs are created to take you to a warm and exciting place. Full of vibrant colours, seascapes, exotic flora and fauna, tropical birds and dazzling plant life. Rosie has painted her entire life. Inspired by her environment and Cuban culture, you can feel the light and colours which they bring to her work. 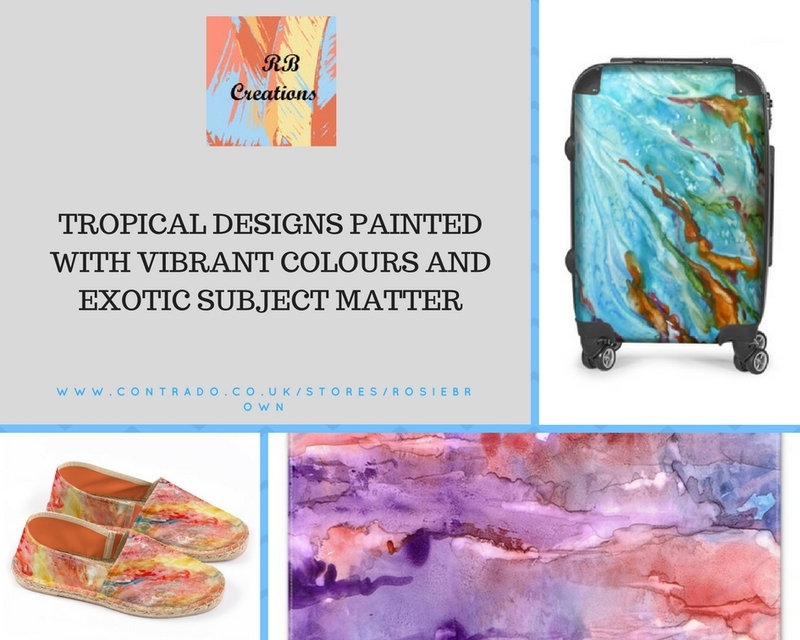 With a largely abstract style and tropical palette, these designs will transport you to a dreamy location far from the everyday humdrum. 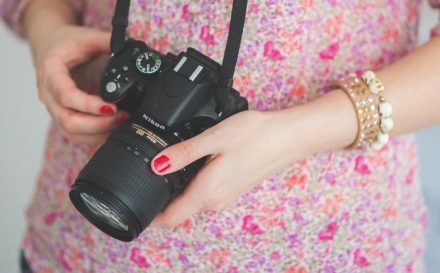 Her creations start with a photograph. A snap shot of something that has inspired her. This then translates into a new medium, and develops into Rosie’s distinct, abstract style. Printed onto a range of items from rugs and chairs to notebooks and wraps, Rosie Brown’s collection will fill your with warmth and happiness. Illustrator Cam Brooks has created a standout and stylish range of apparel for his Contrado store. When he was younger, the majority of Cam’s influence came from manga and cartoons. You can still see a degree of this in his fun and cool designs, but now, there is a more expressionistic style to his work, which makes the collections overall more advanced and grown-up. Heavily inspired by animals and nature, the theme of wildlife plays a major role in Cam’s work. A keen skateboarder, we see hints of this street culture in the subject matter and fonts. The aesthetic of Cam’s work has a fun and individual vibe, which explores a variety of areas from movement, nature and anatomy, to flights of fancy and modern pop culture. 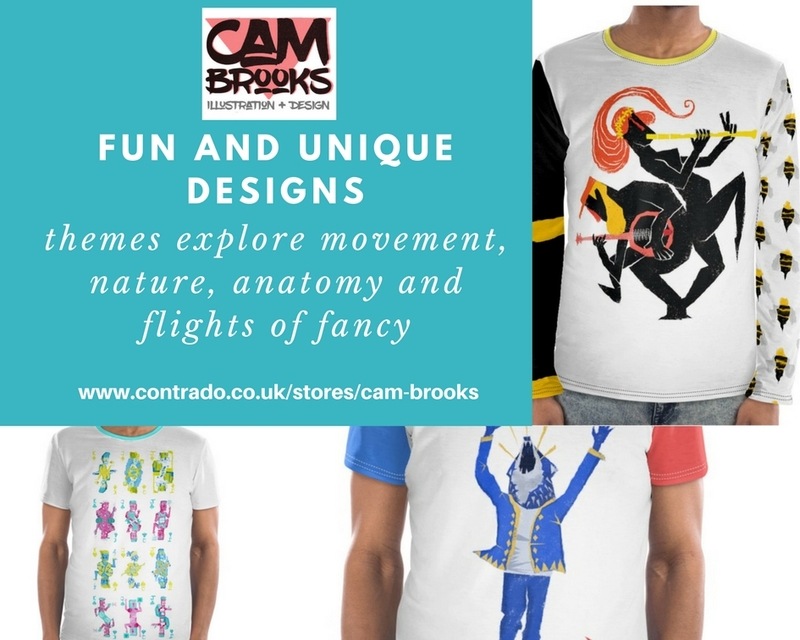 Embrace your personal style and invest in a colourful and ultra cool piece of Cam Brook’s apparel collection. This is a designer who is sure to help elevate your look. Do you like what you see? If you want to discover even more cutting edge designers and independent artists online, then make sure you check out our Contrado Creatives by clicking below. 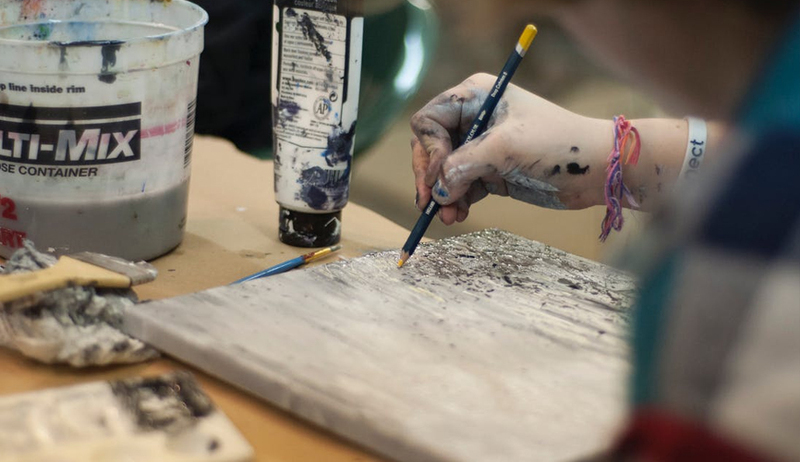 Fancy becoming a creative? Get in touch and show us what you’ve got!